It's that time again, North America, when fresh downloads appear on your Nintendo systems vying for your hard-earned funds. This week brings a mixture of the old, the new and the discounted on Wii U and 3DS, along with one or two relative unknowns. Let's get right to the details. Pilotwings (Nintendo, $7.99) — This flying game was a trailblazer when first released, combining different vehicles and challenges with the goal of flying your way to a surprising and epic final mission. Not exactly a detailed flight sim, but under the right circumstances still laid back, this one certainly has a loyal group of fans that we suspect will eagerly pick it up on Wii U. We'll take a fresh look at the latest re-release, but until then you can check out our Wii Virtual Console Pilotwings review. Deer Hunting King (Arc System Works, $4.99) — One genre that's surprisingly well represented on the 3DS eShop is gallery shooting, where you aim and gun down safari animals, cartoon chickens or, in this case, a variety of beasts native to North America. You'll shoot down deer, bears and raptors — OK, maybe not all native — using either the Circle Pad of motion controls, while those that want to hunt in the real world can apparently do so with AR cards. We'll find a silly hat and hunt down a review, soon. Fishdom H2O: Hidden Odyssey (Cypronia, $4.99) — This is a hidden object spin-off from the Fishdom PC game by Playrix. A common genre on DSiWare now gradually appearing more on 3DS, this entry promises three themed aquariums in stereoscopic 3D, over 1000 items to find and various accessories to collect. We'll get lost in this for our upcoming review. 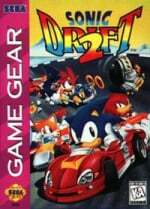 Sonic Drift 2 (SEGA, $3.99) — While Mario is perhaps most commonly known for his karting exploits, Sonic was hitting the tracks on Game Gear, though this one arrived after Super Mario Kart had burst onto the scene. Said to be far better than the original Sonic Drift and the first to arrive outside of Japan back in the day, we'll get into the driving seat to bring you a review, soon. 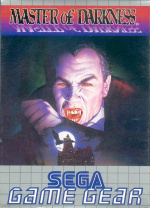 Vampire: Master of Darkness (SEGA, $4.99) — This is a side-scrolling adventure title, with a bit of exploration thrown in, that some may loosely compare with the early Castlevania games. What we do know is that Dracula is trying to take over England, so we'd better hurry up and start our review. 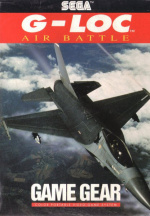 G-LOC: Air Battle (SEGA, $3.99) — An action flying game, this one was also popular on the SEGA Mega Drive. The Game Gear version arrives on 3DS, with plenty of blasting on the agenda as you try to save the world from the skies. We'll dig out our gear and take-off for our review. Crazy Construction (G-STYLE, free) — This title has actually been out for a while, but now there's a free sample for those unsure whether to take the plunge. We gave this rather wacky title a solid recommendation in our Crazy Construction review, and now you can check it out for yourself. That's everything for this week, so let us know what you're planning to download in the poll and comments section below. I wonder why Pilotwings got delayed a week like that. Discounts on games I already have! I might get some of the game gear games but I will get the crazy construction demo for sure. Nothing for me, sadly. 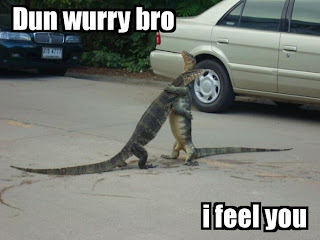 I was hoping "Attack of the Friday Monsters" would arrive this week, but patience is a virtue. I've got plenty to play anyhow, and already have Pilotwings. Seriously. Why is it taking VC games so long to come to the Wii U? Is it taking a long time to translate VC games to the the Gamepad? Is it a licensing issue? Nothing that tickles my fancy this week. Not even the discounts, as I already have MSF HD. Another decent VC week, but disappointed to see that Shantae still isn't making an appearance. Definitely picking up that new demo. Perfect time to grab by first time Mighty! @herzausstein ....and the 360. I have it on that system. Did anyone see on facebook, that super mario bros was downloadable on wii u today? Sonic Drift 2 is actually quite good and possibly the only okay ripoff of the original Super Mario Kart. There was a Mario Kart-style Sonic racer before All-Stars Racing? NA and EU are now caught up with Japan on GameGear games! Japan doesn't even have the Game Gear versions of Sonic 1 and Shining Force yet. @waluigifan1 I didn't see that. Just checked and still don't. I was hoping they would release Earthbound or something major before Pikmin 3, but fear they're giving us dribble to keep us focused on Pikmin 3. @Samurairu The Wii U page has a picture of super mario bros, but is telling us to download mario bros instead. Glad to see a hidden object game being released. I'll definitely be picking up Fishdom H20. Nintendo need to take a long look at their Wii U release policy. I can understand that they want to continue selling Wii VC games but this is a disgrace. How many more overpriced games will they release before we even get a single N64 game? If they gave the ambassador programme to 3DS early adopters I am expecting something much better for being a Wii U early adopter. A 3DS XL with inbuilt 2nd circle pad would suffice. Everyone should get Mighty Switch Force for $4 if you don't already have it. it was never delayed a week, it was set to release on July 4th when it was posted. No one actually went to look at the release date when it first came up. Wow. Another week of mediocre on the NA VC. Sometimes i wish i had a Japanese Wii U, or that my WiiU could just have access to the Japanese eshop. Where is dungeons and dragons?????????????? Wow I was hoping for Shantae but nothing interests me this week. Guess that means I will have a bit more to spend on the XBL sale this week. Clearly Nintendo does not care its an American holiday and people are home and might be more willing to be at home playing a new game. Bad week. Might Force discount by far best thing. Pilotwings... ugh. Nothing for me this week. I wish we'd get Blaster Master NES and Wario Land 3 on the 3DS eshop. Nothing, oh well. I wonder if 8-Bit Summer will be back this year. wow another awful week. no D&D? because Nintendo messed up.... Nintendo likes to say games drive the hardware well if that's the case then the eShop and wii U vc are dead until further notice. I want to give you my money Nintendo but i guess you don't want it. I want snes games on 3DS.. could you imagine chrono trigger 3D........even though i beat the DS version recently for the millionth time..
Where is our NeoGeo 2weeks downloadable? June basically sucked besides a couple of megaman games. Vegas Strikes??? why waste the time and money. Mario Bros, Spelunker, Wrecking Crew and Yoshi. fine games but hardly "showcase". they better do something because they are screwing over early supporters of the wii U.
I have to believe that Nintendo's delay in releasing VC games has a little bit to do with making it compatible. But I also have to believe that a lot of it has to do with a business strategy trying to get as many sales for the "crap" games as possible. If they released everything in giant hunks surrounded by obviously better games many games would get almost no sales at all. The Wii vertual console is better than the Wii U's. Also it's really annoying that the 3DS just keeps getting lame NES games, I want more GameBoy, GameBoy Color and eventually GameBoy Advance games on the 3DS vertual console! For Wii U I want N64, GameCube and, Wii games offered on the eShop. All 3 Game Gear games for me this week! I guess that's it for the Game Gear games for now. I'm hoping the Game Gear Mega Man gets a release very soon. Another week and still no Dungeons and Dragons. Nintendo wonders why third parties run from them. I imagine that their inability to launch a title on release date might have something to do with it. @Squiggle55 check out the weekly bonanza known as the Japanese VC and it becomes apparent that Either Nintendo of Japan hates the west or Nintendo Of America is incompetent. Take your pick. @waluigifan1 I did see that, they were talking about Mario Bros the arcade game port to NES not the Super Mario Bros game, which the picture was of. Confusing and stupid. @Ambassador_Kong I'm still upset that there is still no word on Dungeons and Dragons, yet its listed as coming soon on the eshop. I need to quit looking since coming soon apparently means coming within the next few months. @gaby_gabito i think it needs time to make it playable to change the settings for the gamepad, off tv screen and HD mode for tv and to run with no lagg. Excellent!!! Digital worthlessness at its finest! And we STILL don't have the StreetPass Plaza updates... Isn't today a good time NOA? @XCWarrior Nintendo is a Japanese company, why SHOULD they care? wouldn't the injustice dlc be apart of this? 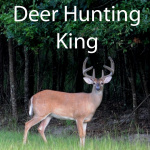 Deer Hunting King and FishDom H20:Hidden Odyssey for me...yeah...psyche! I just want to say: Happy One Month Until Pikmin 3 Comes Out in America Day, everyone! Oh, and it's also Independence Day or whatever. Where is Dungeons and Dragons already?! Seriously not liking the lack of D&D. It's Retro City Rampage all over again. Who wants to bet this won't be released until the very end of the Wii U eShop lifespan? $5 for Order Up! Grab that if you don't have it yet...stellar price! I'd get G-LOC if I had some funds. nothing for me this week, tho ill be grabbing a few more of the FEA dlc, happy 4th! 'Raptors' in the Deer Huntig game refers to birds of prey, not raptor dinosaurs. So yeah, those are native to NA in mass quantities. Impressive. I didn't know there was a bird by that name. I'll be picking up G-LOC. Nothin'. I'm gonna celebrate my independence by being independent from this week's selection. Derp. No, you misunderstand. A 'raptor' is not the name of a specific bird. It is an informal name for birds of prey (hawks, eagles, falcons, etc). Nintendo is forcing me to hate Thursdays solely because of the Wii U's eShop. I already did this with the Wii 5 years ago. Do they even care about the eShop? I've been waiting for that D&D game and it was suppose to release last month. Will we ever get an actual hunting game on the Eshop sometime? I guess I'll have to stick to the Carnivores series on the PSP/Vita for my hunting fix. @Nictendo64 But now you can play your games on the GamePad and have save states. @Zach777: I have given up on getting the street pass plaza updates. We'll be lucky to see them by the fall. Thanks for posting the discounts. I've wanted Mighty Switch Force: Hyper Drive for a while now, and I finally bought it last night (had just enough money already in my account). I absolutely love the game so far. The music is some of the best I've heard, and it really gives me this fun puzzle feel with a mix of Mega Man X music/stage look. I wouldn't have hopped on the shop if it weren't for your post, Nintendolife. You do small developers and consumers a good service by posting sales. Thanks! The CC demo was lame so I won't be getting the game, might not buy anything but I really would like to get the game gear games but somethings holding me back. Oh, and that's where the saying "Raptors of the sky" came from? To be honest, I've never heard of that saying, but probably. The word comes from the latin word 'rapere,' which means to seize or take by force, an apt name for birds of prey. Woo-hoo, another week with ONE Wii U VC release. At this pace they'll be able to offer the majority of NES, SNES, N64 and GC classics in about 40-50 years.